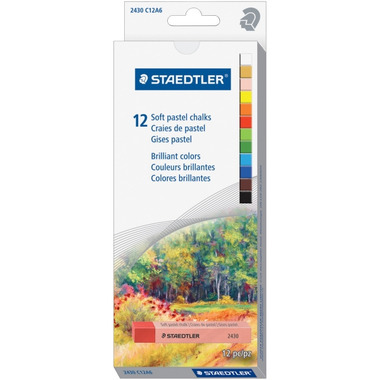 Staedtler Soft Chalk Pastels are rich in pigments and smooth in textures for excellent performance. The durable construction is highly break-resistant for lasting use. The studio-quality colours provide a high degree of lightfastness and excellent blending qualities that smudge easily and can layer multiple times. These pastels are wrapped in paper to keep your fingers clean during use.